Early February will bring much warmer weather back to a large part of Europe as a more ‘west shift’ pattern develops. Deep cyclones will be forming over the northern Atlantic while ridging is expected across much of the continent. 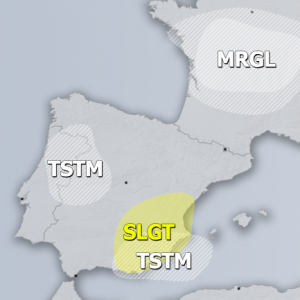 Strong ridge is places acros the east/southeast Europe and southwest of Iberian peninsula while a deep low with cyclone is located across the southern Mediterranean. A shallow low/cyclone moves across the North Sea. Extremely warm weather is expected across east/southeast Europe and the eastern Balkan peninsula, but very cold across the south Mediterranean and north Africa. The deep low over the south Mediterranean drifts east while the ridging across other parts of Europe maintains. A deep cyclone forms over the North Atlantic and pushes strong warm advection into western Europe. A very warm day is expected for southeast Europe. 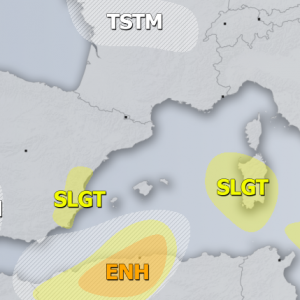 The low over the southern Mediterranean gradually weakens while moving east towards southern Greece. A vry warm day is again expected across the Black Sea region. The deep trough/low over the North Atlantic nears the British Isles and Ireland. The upper ridge over southwest Europe weakens while the deep low from north Atlantic moves into western Europe. The upper low remains over Greece and continues weakening. Warm advection ahead of the west European low pushes into Poland and Baltic region. Another deep low forms over the North Atlantic while a short wave trough pushes into the central Europe as well. Strong ridge remains over the eastern Europe and the western Russia where very warm airmass spreads the region from the west. A deep cyclone from the North Atlantic pushes into the western Europe, bringing a potentially strong windstorm and much warmer weather ahead of it, also towards the northern Europe. A shallow trough/low from the central Europe moves towards the south Balkan peninsula. The west European deep cyclone weakens while gradually moving east. Warm advection spreads into northern Europe. 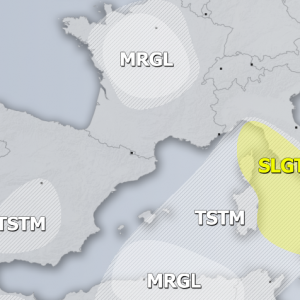 Shallow low over the southeast Europe brings unsettled conditions into Turkey.